Published on June 21, 2012 by cara.b.b. i was watching a few minutes of the today show this morning and a few stories came on that were just plain disgusting – a school bus monitor reduced to tears by taunting kids, the trial of a suspect in a case of a boy set on fire, and of course, jerry sandusky. i said outloud to beckett, ‘i’m so glad you’re too little to understand all this.” he responded with a great big smile, and it just made me want to guard him forever from all the the ugly in our world. fast forward a few hours and i saw a link to a story online that caught my eye. i clicked, and it did exactly what the title said it would do – ‘restored my faith in humanity.’ it’s a pretty short little article with some amazing pictures, and i would encourage you to take just a few minutes to go through it. 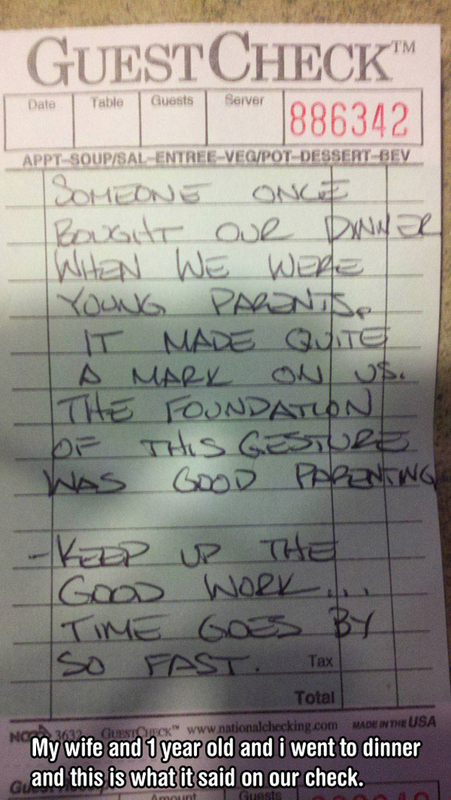 what a great reminder that there are plenty of good people sharing our planet. here’s the link to the story – read it, and pass it along. let’s overwhelm the ugly in our world with a whole lotta good. We don’t hear of enough of these stories. Thanks for sharing them with us.